So you have, run on server, multicast and run on owning client. How would you replicate to everyone apart from the owning client? 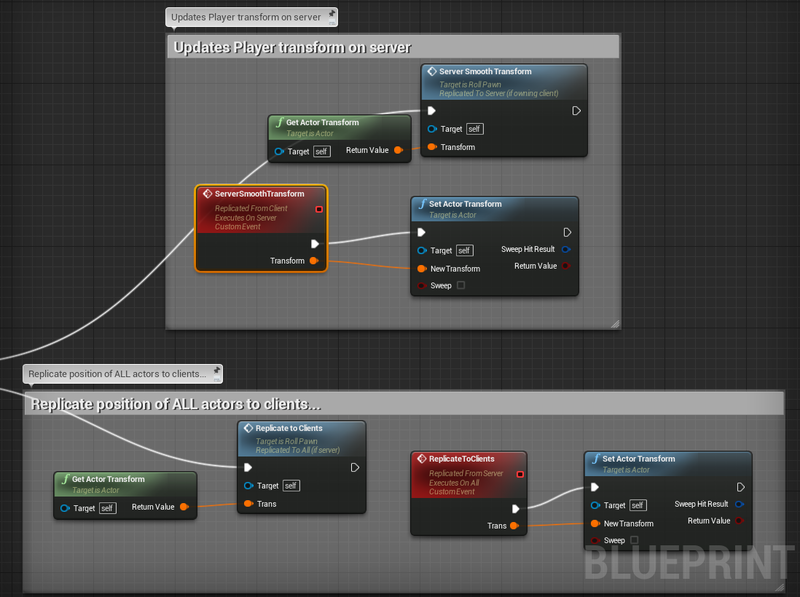 I am setting transforms of physics objects from the client to the server and I am trying to get them updating on all the other clients without setting for 'self'. (The result is all objects are suspended in space, flickering as they have no authority to move). I have tried setting authority to remote in various places but have had no luck. Would appreciate anyone shining light on the issue. But it still replicates. It just ignores the input event by a branch. Not practical for deployment because of the wasted data, it consumes nearly 16 kbits of network traffic per second, if you use this in Event Tick.